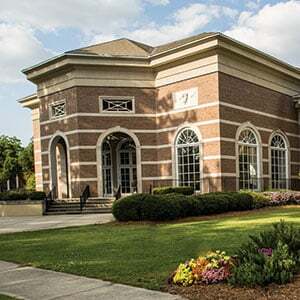 For the second consecutive year, Coker College is included in U.S. News & World Report’s Best Online Programs rankings, which were released earlier today. Coker is included in the categories of Best Online Bachelor’s Programs and Best Online Graduate Education Programs. Coker offers the following entirely online undergraduate and entirely online graduate degrees: B.S. in Business Management, B.S. in Criminology, B.S. in Psychology, B.S. in Sociology, M.Ed. in Curriculum and Instructional Technology, M.Ed. in Literacy Studies, M.S. in College Athletic Administration, M.S. in Criminal and Social Justice Policy, and M.S. in Management and Leadership. For working adults and/or digital natives, completing a degree online may be the most practical way to obtain the knowledge and credentials needed to boost their careers. The 2019 edition of the Best Online Programs can help prospective students select schools that are right for them. For more information about Coker’s online programs, please visit coker.edu/online. For more information about applying to Coker College, please visit coker.edu/apply. For more information about the U.S. News & World Report’s 2019 Best Online Programs rankings, please visit www.usnews.com/online.